Katherine just started playing the daily Sweeps 4 Mom and now they are paying for her family’s back-to-school supplies! Tons of my readers have won $100 and $500 (for teachers) Office Depot gift cards and there is still time to win through Sunday, September 5 so don’t forget to play this weekend. You could be one of the 50 daily winners, just like Katherine! I won 4 boxes of toaster strudels!!!!! 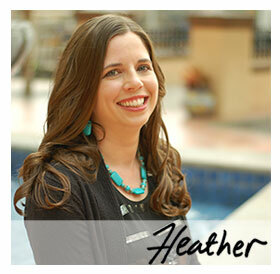 Heather, thank you for the hard work you put in to this site. I love it and it has helped us so much. I found it last November right after I won a $400 GC from a new Coast Guard exchange opening in our area. My little grandsons were with me and won a $50.00 Macy’s card the same day. That is when I started entering IWG. The wins are for real and the freebies and coupons are a real blessing. I just received my SOBE flip flops and t-shirt in the mail along with the years supply of Soy Milk. And then just added a $20.00 Sears GC and the $100.00 Office Depot one. (just in time for my husband’s b-day) . Plus lots more. Again, thanks. Liz — I won the teacher’s card. I received the affidavit in a week, and the card in a non-descript envelope about a week after that. Very low-key — no e-mail confirmations or anything. Just keep watching your mail. It says “You Win A $100 Office Depot Gift Card!” Has anyone else won this and recieved it in the mail? Is it for real?! Yes, it’s for real. Congratulations! Lots of my readers have received theirs in the mail. I won a Bushel of Milano Strawberry Cookies!! Share your Milano Moment Sweepstakes!!! I haven’t won anything yet, but I will keep trying!